We pondered on whether or not to include this one as part of ‘storage’, but in the end we decided that even though bedside tables can help out with storage, they are so important that they deserve their own section!It doesn’t matter what you use for a bedside table – even stacked suitcase can make for a unique piece – but opting for something in the wrong size and style is one of the most common bedroom design mistakes. For the right height, choose a table that’s the same level as your mattress’ top. Otherwise reaching for something on the table (whether it’s a book, your phone or a glass of water) will just feel off. Like any other room in your home, the bedroom needs a mixture of different lighting sources (layered lighting) to make it not only acceptably illuminated, but also practical. 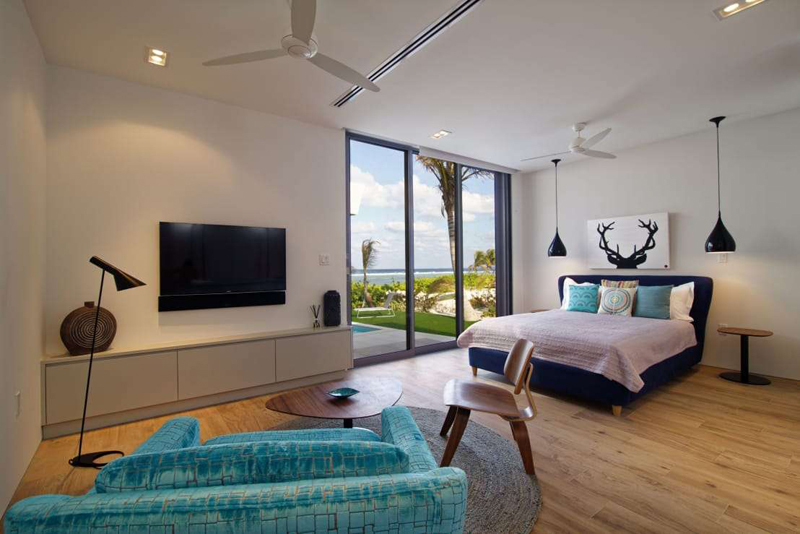 The best way is to mix both task- and adjustable ambient lighting, but to determine what type of task lighting is required, first consider how you use your bedroom. Then, design your lighting around it. If you regularly read in bed at night, opt for a bedside lamp or wall sconce for proper illumination. We recommend a soft, shaded lamp with an adjustable dimmer that lets you control the amount of brightness desired. Let’s not forget that the bedroom is meant to revitalise and relax us; thus, a proper amount of comfort is required. In addition to buying the best mattress you can afford (and changing it every eight years), ensure your pillows aid in a good night’s sleep (regardless of whether you prefer feathers, memory foam, or something else). Here we need to exclaim that different personalities and styles will call for different colour schemes. 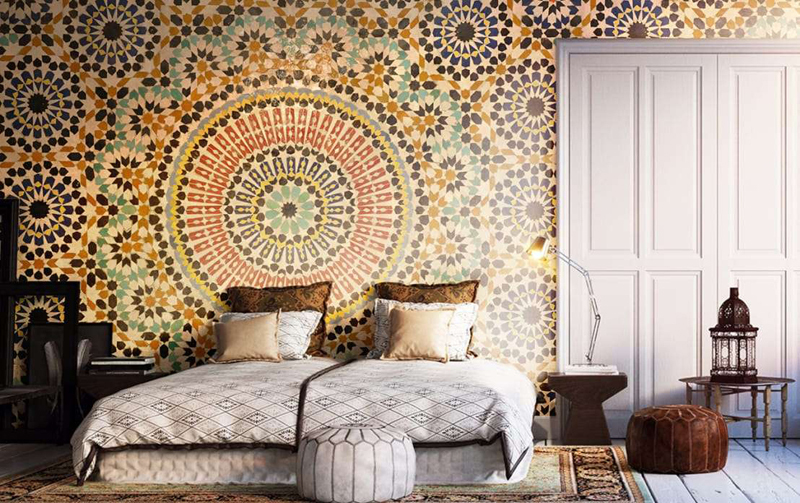 If you feel totally relaxed and at peace with a beige-and-white colour palette, then so be it. But bear in mind that you are not forced to stick with neutral or earthy colours for your bedroom. 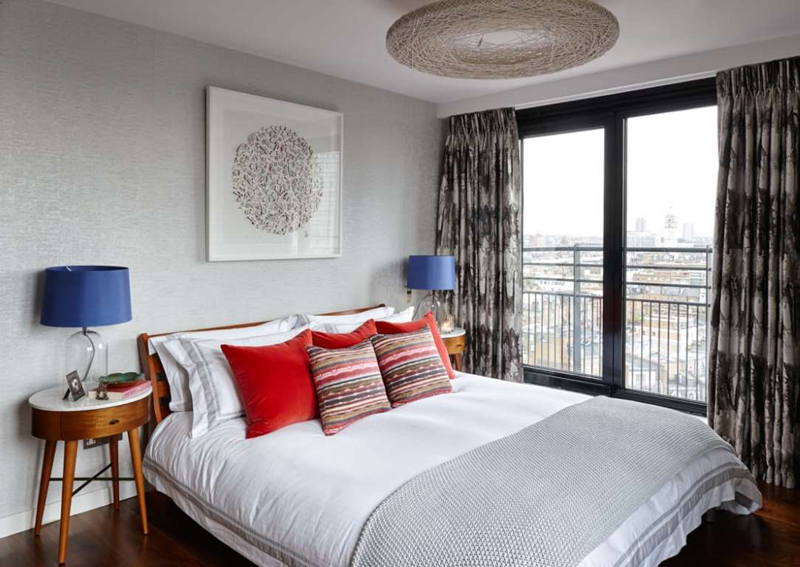 Many people take advantage of the fact that their bedrooms are private spaces, meant to be seen by only themselves, by experimenting with bold colours and bright patterns – and there is absolutely nothing wrong with that. Whatever colours you wish to bring into your sleeping space, just ensure they aid in a tranquil and calming effect, regardless of whether you’re dozing, reading, or getting dressed. As we tend to be barefoot in the bedroom, most people opt for carpet and/or layered rugs to ensure a soft underfoot effect. After all, there is nothing better than stepping onto a lush floor surface early in the morning! But if you are not too keen on carpet or rugs, wood is another popular flooring choice. 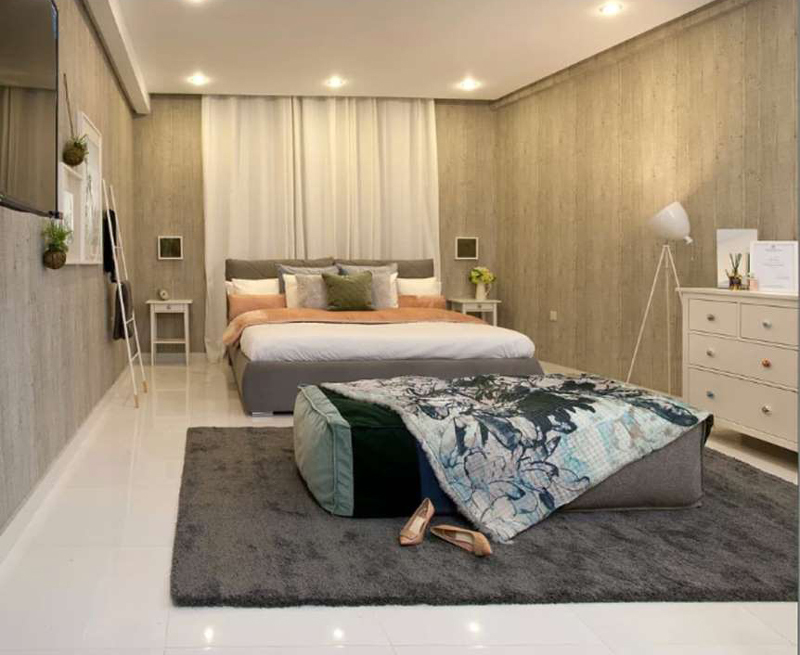 Just make sure the finishing, texture, pattern and colour complements the rest of your bedroom’s design.homify hint: In love with your bedroom’s wooden (or tiled) floor, but still longing for something soft to step on? Opt for a gorgeous rug below your bed, ensuring it sticks out far enough so you don’t step onto a chilly floor on those cold winter mornings. Of course it’s also possible to place a runner on each side of the bed if your dream rug just isn’t big enough. A lot of us are fairly sensitive to light and are disturbed by the tiniest bit of sunlight filtering into our bedrooms. For this problem we recommend blackout linings for those curtains or blinds. But remember that some sunshine can still creep in around the edges of those blackout blinds/curtains, so ensure they cover the entire window to avoid a bright surprise the next morning. Last but definitely not least, far too many people think of their bedrooms as showrooms that need to flaunt a range of furnishings. Here’s a hint: they don’t. 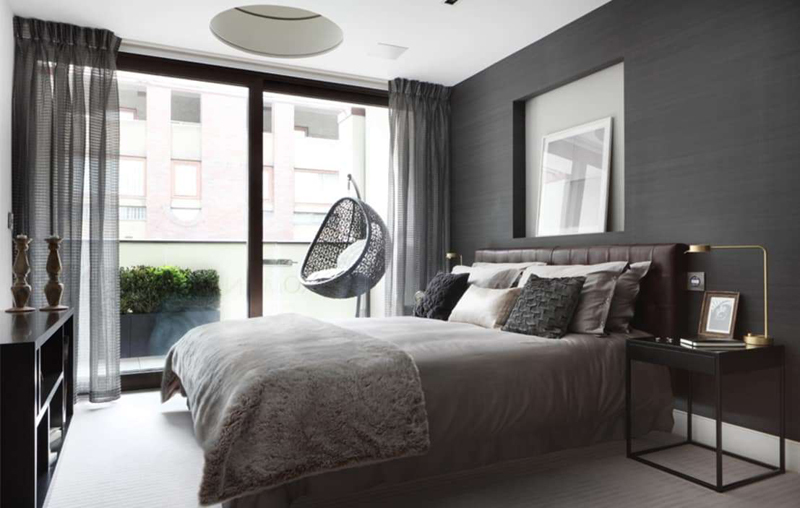 A lot of bedrooms tend to be quite small, which lessens the amount of pieces we can bring in. And once you slot in a decent-sized bed, bedside tables, a wardrobe, a chest of drawers, and a cute little chair in the corner, there usually isn’t much space left for walking! Only invest in bedroom pieces that add functionality to the space, like additional storage (i.e. a chest of drawers). 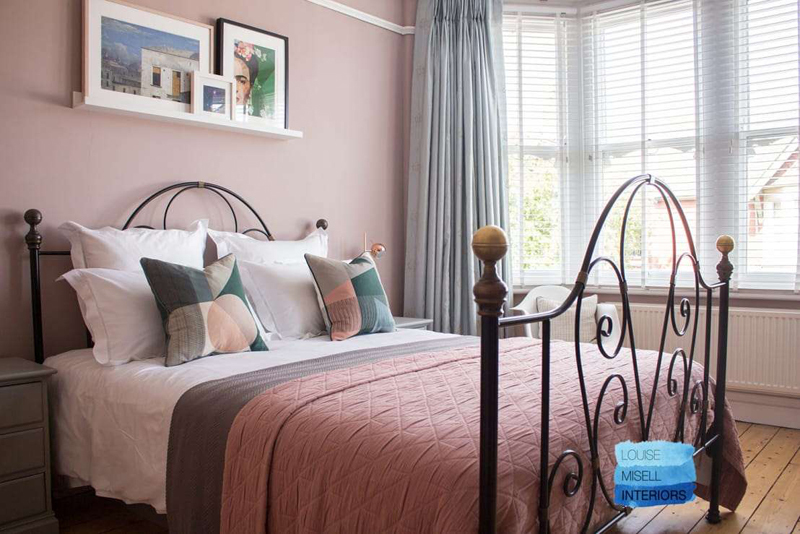 And remember that certain designs help to create the illusion of more space and a cleaner style, like minimalism – see if you can’t opt for a bed and bedside table in this design instead of an overly decorated classic/traditional one. And if there really isn’t space for a cushy armchair on which you’d like to sit while putting on your shoes, let it go. A cluttered bedroom, which is meant to make you feel calm and relaxed, is not worth it!In the quest to get those interiors perfect, see these 12 kitchen errors you make (and how to avoid them). 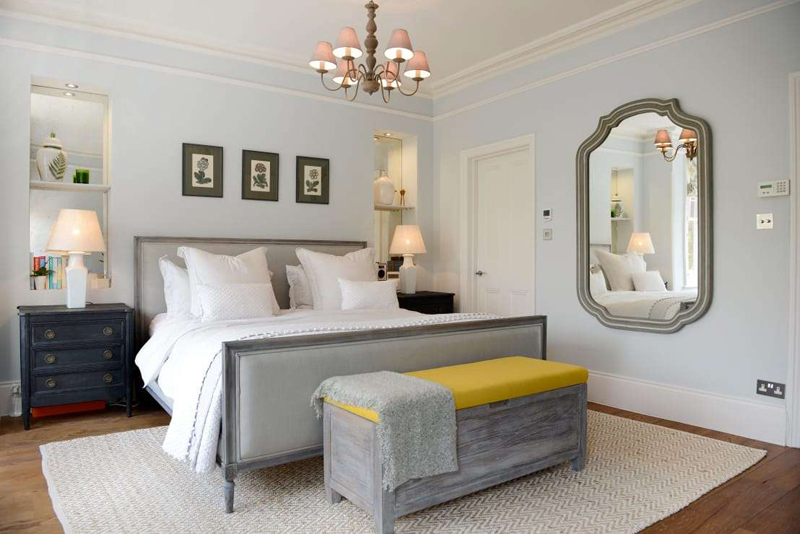 U.S. Daily News: Are You Guilty of These 8 Bedroom Design Mistakes?